Chrome stainless steel pipe / tube is one our main products which is under ISO/BV certificated. Our pipe has been exported to all over the world because of its prime quality, competitive price and good service. This material has been very useful and effective in many industries, and if it wasn't for stainless steel, we definitely would have experienced a shortcoming in critical industrial processes. OD (6-710) x (0.9-40) x MAX 13000mm,base on buyer’s requirement. 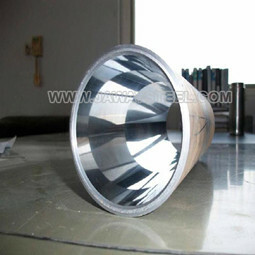 The high quality of Chrome stainless steel pipe / tube manufactured by Jawaysteel is widely used for fluid and gas transport,decoration, construction,medical equipment, aviation, boiler heat-exchanger and other fields ect.